OSWEGO – We first told you about Indy back in January. This little mare, 15.2 hands, born in 1999, had little to no training for 12 years and basically had to start again from the beginning with groundwork before any saddle time. We are proud to report that she has come a long way in six months and is now ridden by an advanced beginner (a teenager) and groomed by kids. 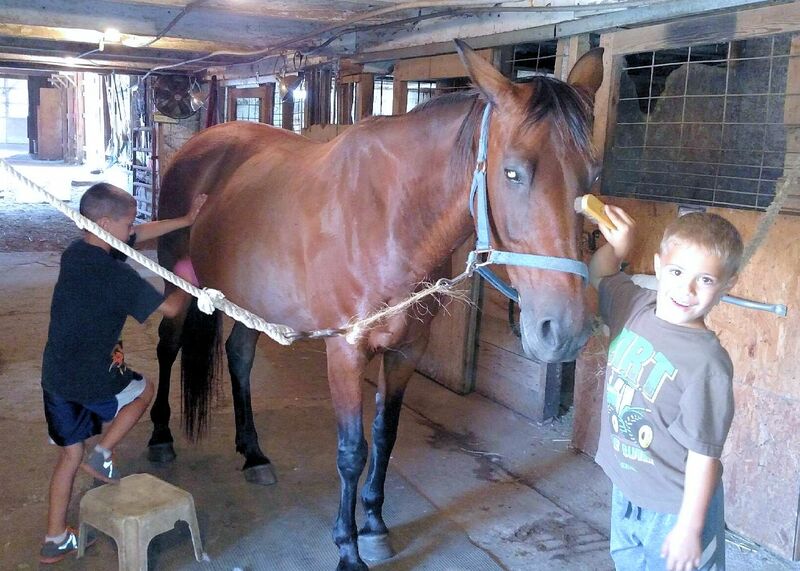 She is very good with other animals and good with the vet and farrier. We would not recommend her for a true beginner, but for someone with some experience she would make a fine and pretty companion. 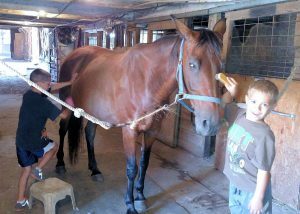 Please contact Kathy at 315-591-4422 for additional information on this horse and adoption. What she needs now is an owner as “good” as she is! The Oswego County Humane Society has moved to a new location, 29 W. Seneca St., in Oswego. Watch for the announcement about our open house. OCHS provides spay/neuter services and assistance, fostering and adoption of animals in urgent need, humane education programs, and information and referrals to animal lovers throughout Oswego County. Now located at 29 W. Seneca St., Oswego, NY.